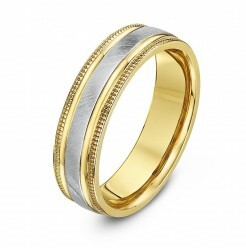 Gold alloys commonly come in 3 different colours. 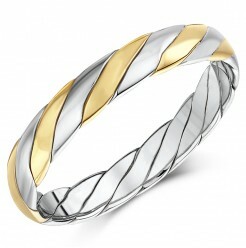 The different colours depending on the combination of metals used to craft the gold alloy. 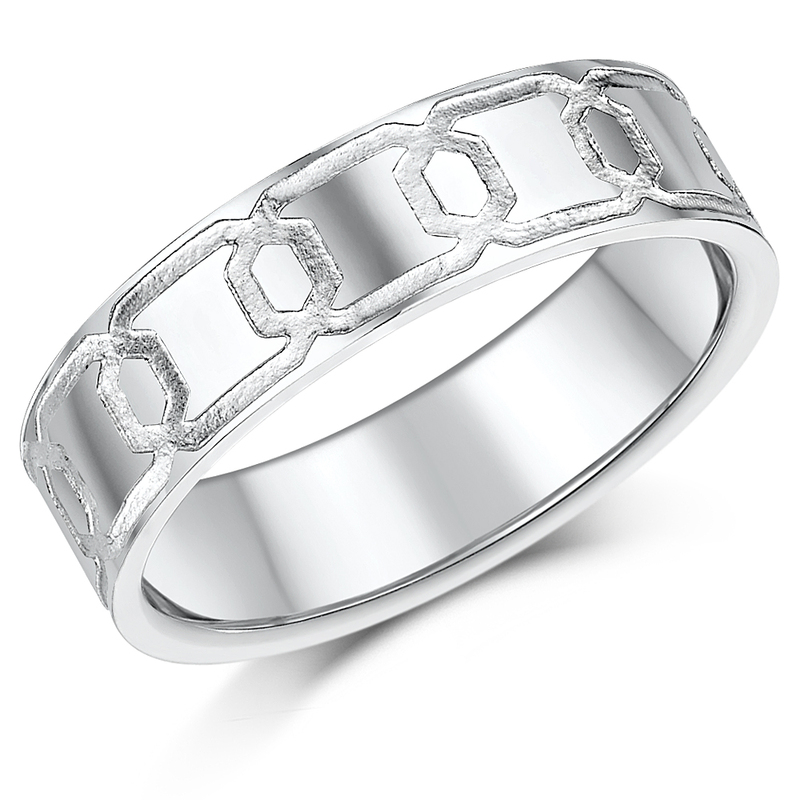 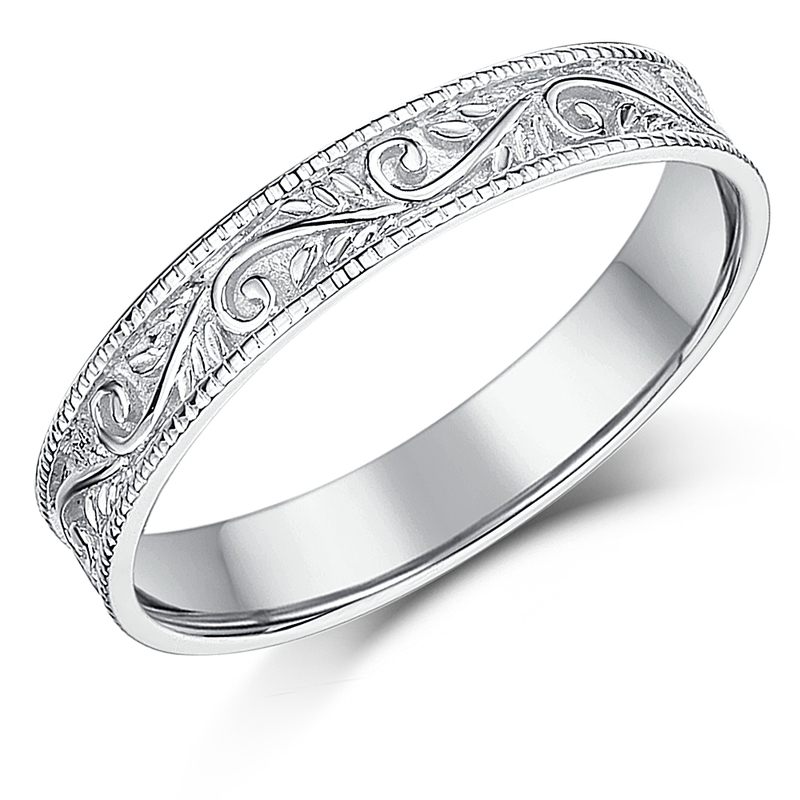 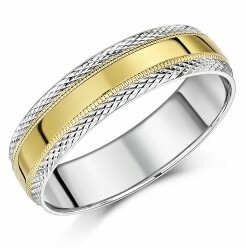 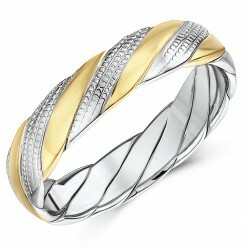 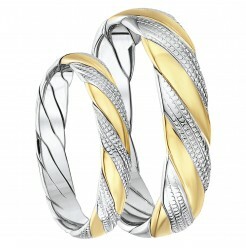 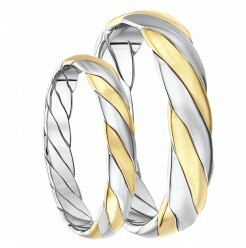 White gold- gold and nickel/palladium/silver/magnesium alloy. 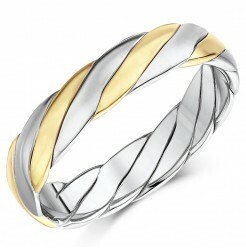 Yellow gold- gold, copper and silver alloy. 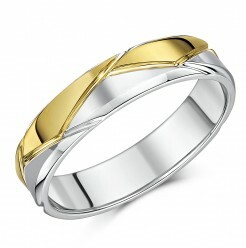 Our collection of two tone gold wedding rings combines the beauty of two contrasting gold alloys. 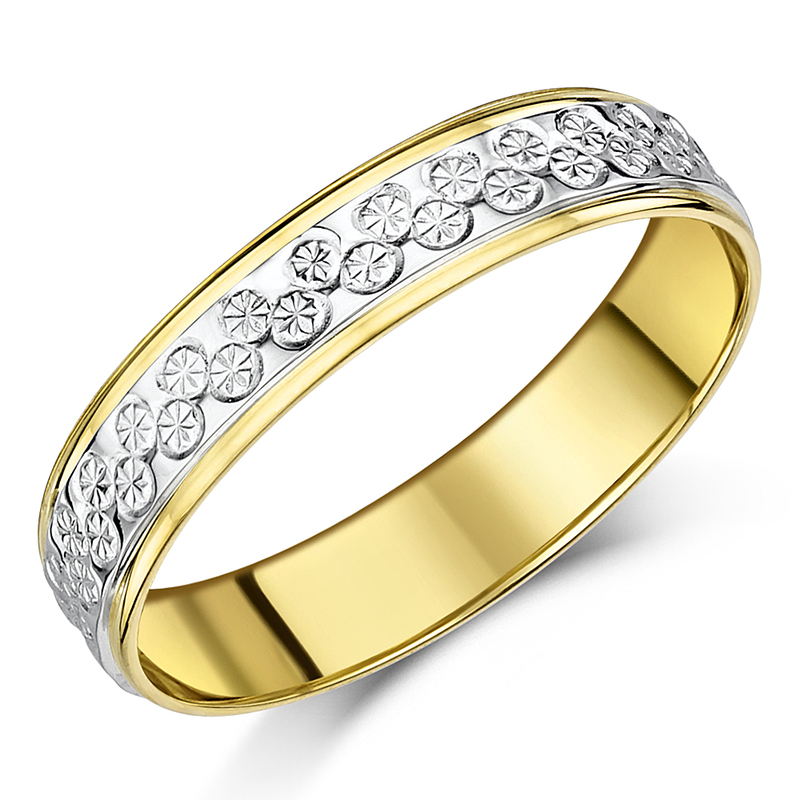 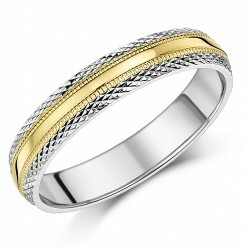 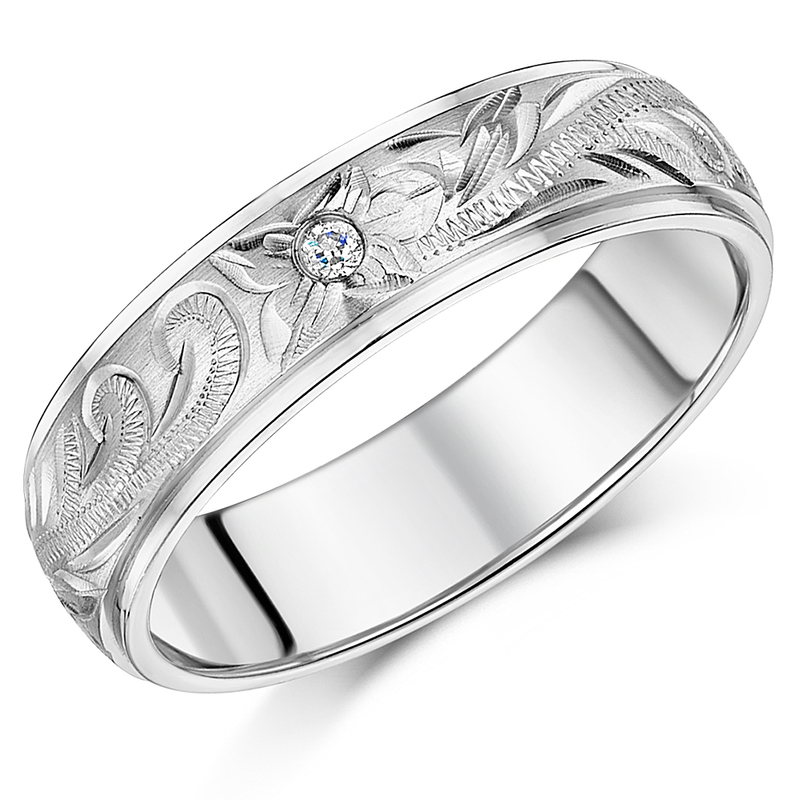 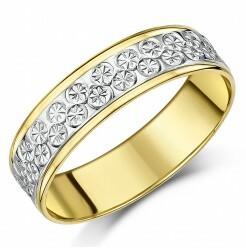 2 Colour gold wedding rings are masterfully crafted to create beautiful patterned rings and engraved creations. 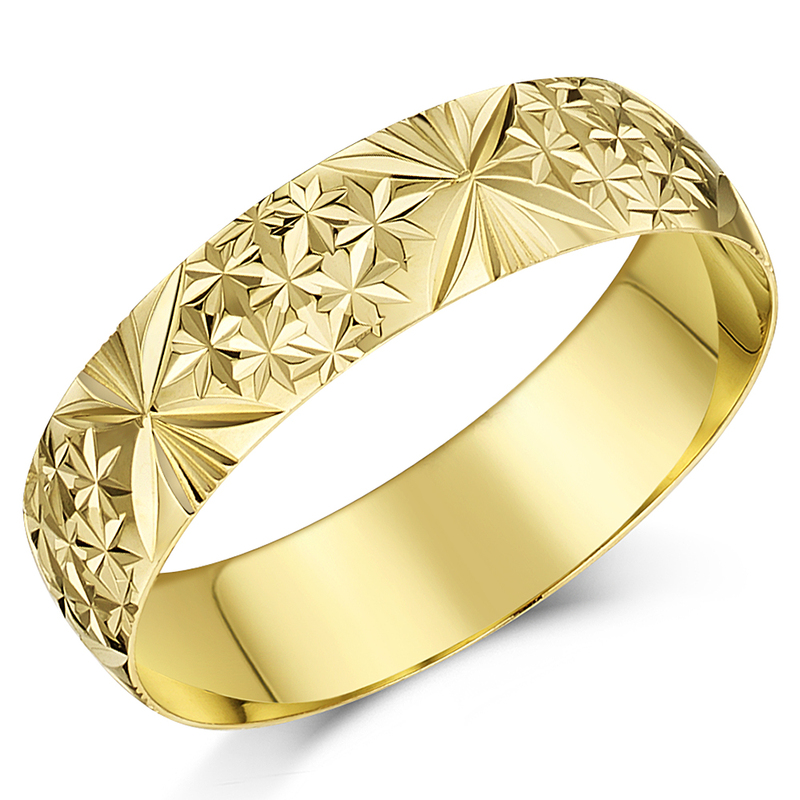 These two colour gold patterned rings are not only suitable as wedding rings but they can also be worn as statement jewellery. 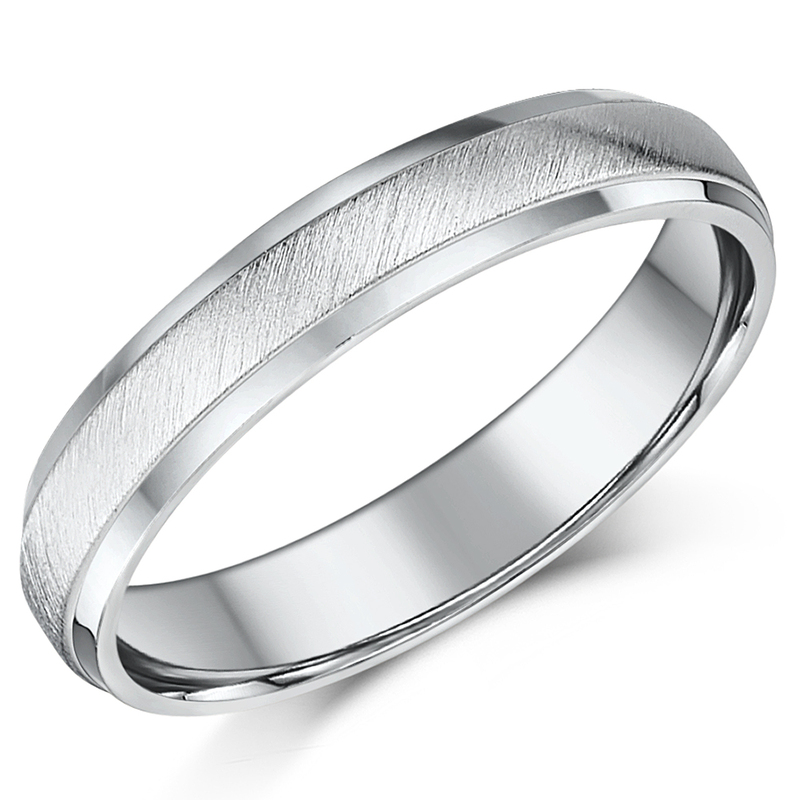 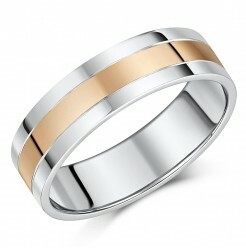 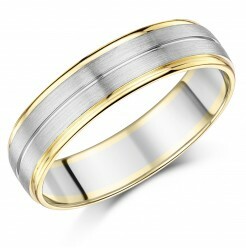 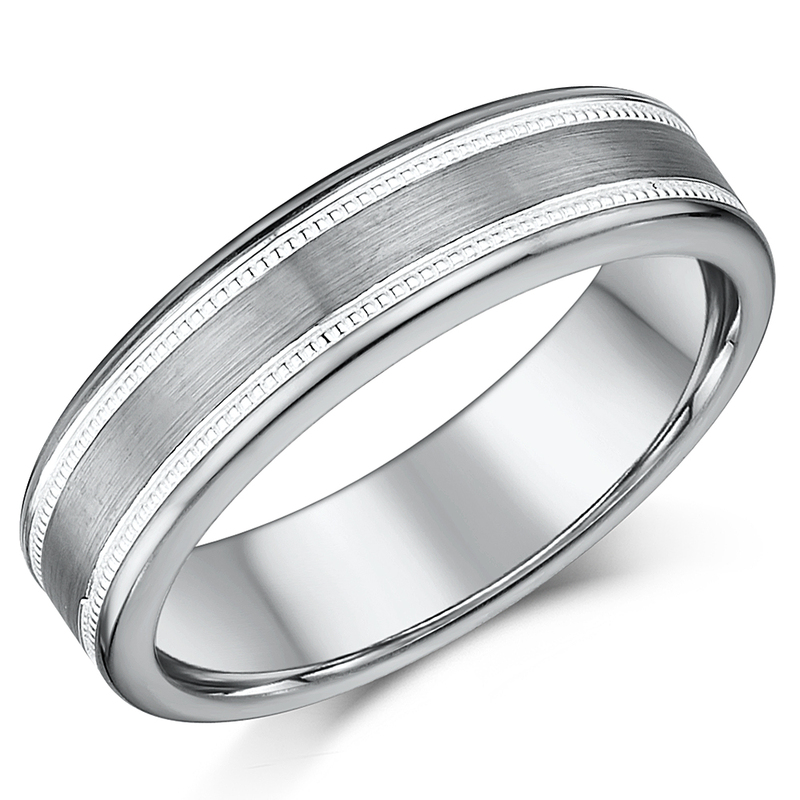 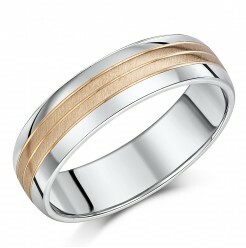 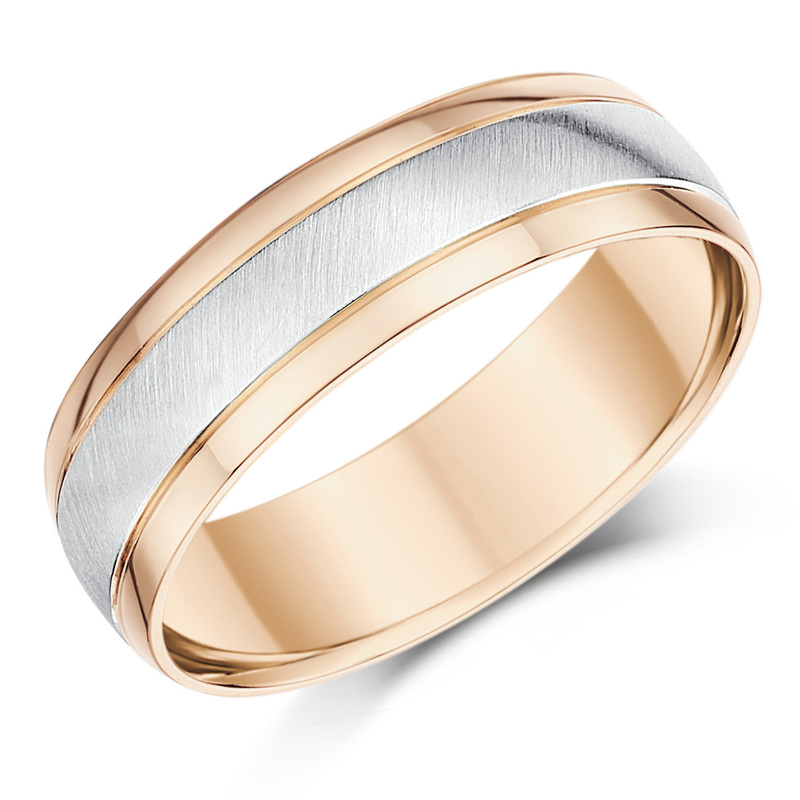 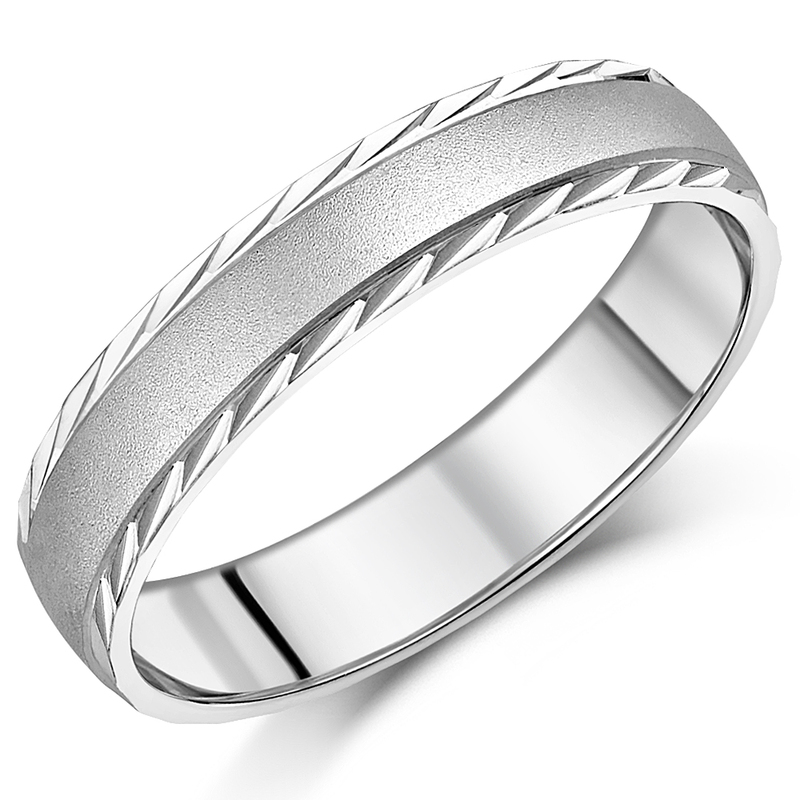 Apart from gold, we give you loads of other metal options when selecting two tone wedding bands. 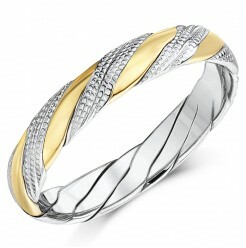 Go through our collection to check out the gold and silver, gold and palladium, and gold and platinum two-tone rings.